In 1835, a man named Michael Chandler arrived in Kirtland, Ohio, and sought an audience with Joseph Smith. Chandler had been traveling throughout the United States, exhibiting a collection of mummies and ancient Egyptian papyri that had been unearthed near Luxor, Egypt. By the time he reached Kirtland, he had sold most of the collection but still had in his possession four mummies, two papyrus scrolls, and additional papyrus fragments. Joseph Smith inspected the artifacts shortly after Chandler arrived, and soon thereafter, Smith and some of his associates purchased them all for the price of $2,400. Like many of his contemporaries, Joseph Smith viewed Egyptian artifacts with deep interest, wondering what knowledge they might contain about the ancient world, biblical narratives, and divine truths. Soon after purchasing the mummies and papyri, Smith and his associates set about attempting to deciper the Egyptian language by proposing linguistic rules and dissecting individual characters. Around the same time, Smith also dictated to his clerks a first-person account of the biblical prophet Abraham, which Smith said was a translation of the writing on the papyri in his possession. The account, which came to be known as the Book of Abraham, presents a narrative of Abraham's journey from Ur to Egypt, a description of his activities in Egypt, an account of the creation of the world, and doctrinal teaching son topics such as the eternal nature and premortal existence of spirits and the plan for a Savior for humankind. Seven years after the initial purchase of papyri, Joseph Smith translated additional material from the Book of Abraham and published all that he is known to have translated, along with three illustrations from the ancient documents, in the church newspaper Times and Seasons. Joseph Smith preached doctrines contained in the Book of Abraham both before and after its publication, and the ideas contained in it clearly influenced his theological thought. Members of the Church of Jesus Christ of Latter-day Saints viewed the Book of Abraham as a witness of Joseph Smith's prophetic gift and a continuation of his pattern of revealing sacred texts, including the Book of Mormon, the inspired revision of the Bible, and his many revelations. Wilford Woodruff, a member of the Quorum of the Twelve Apostles, stated in 1842 that "the Lord is Blessing Jospeh with Power to reveal the mysteries of the kingdom of God; to translate through the Urim & Thummim Ancient records & Hyeroglyphics . . . which causes our hearts to burn within us while we behold their glorious truths opened unto us." While Joseph Smith's work on the Egyptian language and the Book of Abraham does not comport with a modern scholarly approach to translation, Woodruff and other Latter-day Saints viewed the creation of the Book of Abraham text as a revelatory process rather than an academic one. This volume, the fourth in the Revelations and Translations series of The Joseph Smith Papers, includes three sets of documents: (1) the extant fragments of the papyri purchased in 1835; (2) the documents that collectively compose the "Egyptian-language documents," which are associated with the attempt by Joseph Smith and his associates to decipher hieroglyphic and hieratic characters from the papyri; and (3) the various manuscripts and first print publication of the Book of Abraham text. This facsimile edition presents full-color photographs of all these documents, with corresponding transcripts of the English text. With this unprecedented access, scholars will gain a better understanding of the physical remnants of Joseph Smith's translation process. The introductory material situates Smith's efforts in the broader context of the nineteenth-century fascination with Egyptian history and culture, of his own effort to reveal truths from the ancient past, and of his other translation efforts. The annotation in this volume explores the relationships between and among the various manuscripts. For readers interested in the textual history of the Book of Abraham, the translation process of Joseph Smith, or the way in which nineteenth-century Americans viewed Egyptian papyri, this volume's offerings will be invaluable. Brian Michael Hauglid is an associate professor of ancient scripture. Brian completed his PhD at the University of Utah in Arabic and Islamic studies. Brian served as director of the Laura F. Willis Center at the Neal A. Maxwell Institute for Religious Scholarship and editor of the Journal of Book of Mormon Studies. Whether you are a scholar, a member of The Church of Jesus Christ of Latter-day Saints, a member of one of the other restoration churches springing from Joseph Smith, or just an interested student of 19th century religious movements, the JSP Revelations and Translations vol. 4: Book of Abraham and Related Manuscripts is a book you will want to own. It is a “Facsimile Edition,” in the same vein as three of the other JSP publications in the Revelations & Translations series. In other words, it is oversized (measuring 9” x 12”), printed on nice heavy paper, with photographic images of the extant original documents on one page accompanied by the transcription on the opposite page. It is professionally bound with a handsome presentation. The photographed images are well done with terrific resolution. Making them easy to read (if you don’t want to read the transcriptions) and fascinating to look at. Because it is unlikely most people will have the opportunity to view the original documents, this volume is quite positively the next best thing. The images and transcriptions are broken into eight sections. For brevity they include the extant Egyptian papyri, documents related to Joseph Smith’s attempts to learn Egyptian, extant Book of Abraham manuscripts, and facsimile printing plates. While the images are fun to study, it is likely that many readers will find the real value of the volume in the introductory material. For me, the narrative regarding the fascination with Egyptology in 19th century America and how Joseph Smith came into possession of the papyri is succinct and interesting. That said, the introduction also has an invaluable discussion on the process by which the Book of Abraham was produced by Joseph Smith. Some members of the LDS faith have struggled upon learning that the extant papyri have little to nothing to do with the content of the Book of Abraham. In the introduction, the word “translation” as understood by Joseph Smith and his contemporaries is explained and described. In short, modern readers have a very certain definition of what translation means. However, Joseph Smith defined translation has something that could include transliteration of a text from one language to another, but also divine inspiration from heaven. Several witnesses describe the translation of the Book of Abraham as Joseph receiving the text by revelation. Appreciating this word (“translation”) and what it meant to the Prophet Joseph Smith and others is helpful in understanding the Book of Abraham. I absolutely commend this volume to anyone who is interested. Some may purchase it simply to complete their set of the other JSP volumes. To be sure, they certainly do look good on a shelf. Though, the true value of this volume is not what it looks like on the outside, but what is contains and teaches on the inside. This is the fifth time I have written this review. I ditched my first four reviews, not that I was unhappy with the first four reviews, but this book imprinted on me so deeply that I kept searching for better words and better thoughts that would clearly and precisely describe what I feel and believe about this volume of The Joseph Smith Papers. I almost succeeded. I am thrilled and inspired by this volume of The Joseph Smith Papers: Revelations and Translations, Vol. 4, Book of Abraham and Related Manuscripts. This volume of The Joseph Smith Papers parts a historical veil. It lets the living view the works of the dead of distant generations with greater clarity, enlightening readers not only of the details of when and where vital gospel doctrine was received but the process by which the doctrine was received, a process that needs to be understood and duplicated by all Latter-day Saints in these turbulent days. This volume belongs in the personal library of every conscientious student of the Gospel of Jesus Christ along side the canonized scriptures of Christ’s church. Canonized scriptures in Christ’s church offer a nexus for revelations that transcend print on a page, revelations that can turn a student of the gospel into a new person, different in thought, different in action, and in some cases, different even in appearance. As I studied this volume of The Joseph Smith Papers, an expanded realization sunk deep into my heart that a portion of the canonized scriptures in Christ’s church came directly from the very documents I viewed in this volume. The warm feeling that came into my heart when visiting the Hill Cumorah and the Sacred Grove came again to me. If you intend to study the Book of Abraham in the Pearl of Great Price again, if you want to explore the origin of the account of the creation of the world, if the topic of the premortal existence of spirits thrills you, and if the Savior’s mission to redeem all of humankind lifts your spirit, then this volume of The Joseph Smith Papers is for you. these records. Every attempt at deciphering the writing done as Joseph dictated has been taken. Sadly, the majority of the papyri originally purchased is missing. Pieces were cut and sold to museums and other interested people. Although I found it tedious wading through the 80 odd pages of the grammar and alphabet of the Egyptian language, on balance this volume contains the entire book of Abraham manuscript reproduced for the first time, which was exciting to me. I am so impressed by the goal of the Joseph Smith Papers Project to publish every available Joseph Smith document to which its editors can obtain access. Included in this are documents which were created by Joseph Smith, whether written or dictated by him or created by others under his direction, or that were owned by him i.e.received by him and kept in his office. Nothing has been left out, not even a small scrap of paper upon which the single word KOLOB is written, which I will leave to interested readers to research. By presenting Joseph Smith papers in their entirety, the aging manuscripts are preserved from further damage or loss. The facsimile printing plates and how they were made in order to publish the Book of Abraham were of great fascination to me. To reproduce the illustrations upon the papyri, woodcuts were made by carving and then used to create a mold into which the type metal was poured to make a plate that could be inked and used for printing. The apostle Parley Pratt said, "there is nothing hidden but what shall be brought to light, and nothing secret but what shall be discovered." The Joseph Smith Papers Project attests to that and I am grateful for it. First, there are many sources dealing with the Book of Abraham but this edition of the JSPP is THE single best source on the topic. The book is a bit larger than the other editions because it contains high quality photos of the remaining fragments from the Book of Breathing for Horos, Book of the Dead for Semminis, etc. The book also has excellent historical summaries about where the scrolls are from, who owned them, how they came into Joseph Smith's possession, etc. Like all JSPP volumes, this edition is well foot-noted (something I appreciate and often use to source check). This edition is highly recommended. This is a beautiful volume with large full-color photographs of extant Egyptian documents once in the possession of Joseph Smith. It details how he obtained the writings and artifacts, and how he went about translating them. It is important to understand what this book is, and what it is not. This contains images of the Egyptian documents and discusses the history of how Joseph Smith obtained them, where they came from, what they were, and what Joseph Smith did with them. This book does not provide an analysis or interpretation of the writings themselves, or a critique of Joseph Smith's translation of the writings. However, it does provide tools to make such an analysis, to the extent that would be possible, as it contains images of all the Egyptian documents that still exist. (Many documents no longer exist, and this book explains what happened to them). For anyone interested in a history of how Joseph Smith' acquired Egyptian artifacts, and his efforts at translating the Egyptian writings, this is a great work to have. It was indeed an honor to be asked to review another advance volume of The Joseph Smith Papers, and it was a surprise when the editing team announced that this particular volume was next on the publication list. The only other copy of the Revelations series I own is the first volume, the Facsimile edition of the published revelations. Being tasked to review a Revelations volume was something I found difficult at first; how could I review something that we have seen and read as part of our Standard Works? However, much like receiving revelation, as I thought more and more about it, the process became inspired. I will begin my review with a disclaimer that I would ask people not to take lightly: this Volume includes materials that some readers may find sensitive. As you go through the pages and ponder what is written on them, some may find more references and correlations to Latter-day Saint temple ordinances that they may not have considered before. Members of the Church of Jesus Christ of Latter-day Saints who have been through the Temple have made promises to keep sacred the things of the Temple. I would advise if reading it among peers, family or even on your own to keep that in mind. Also, I would not recommend this volume to new converts or members of the Church who may find themselves struggling or concerned with elements of their testimony or not fully understand what some would consider “deep doctrine”. It’s a term I loathe to use, but even as I was going through the volume, I could easily see why some might be bothered. The Book of Abraham is one of the most unique works in the Church and past conversations surrounding this volume of scripture have been polarizing. It does test the faith of members of the Church: you either accept that it was received from revelation and contains eternal, spiritual truths, or it doesn’t. Volume 4 does not settle that debate; rather, it can add to it because not only does it showcase the papyri that Joseph Smith received in Kirtland in 1835, it contains other documents associated with it. Namely, it contains notebooks describing the Egyptian characters, a thorough description of the Egyptian language and grammar, extracts from various Books of the Dead and a history of how these papyri came to Kirtland, the fervor in learning about Egyptian culture stemming from Napoleon Bonaparte’s conquest of Egypt, and how unlike there are very specific description on how Joseph received revelation or translated The Book of Mormon, there’s not a lot as to how Joseph was able to understand Egyptian or translate this work, given his history. However, as a work of academia, it is outstanding and a great launching point to understanding an element of Joseph Smith’s work that is not as well known. For academics, they will find much to dissect. Each section of the Volume does provide very thorough context for what the reader will see next. Of particular interest is the history of how this text came to be. Instead of knowing it to being something that happened relatively quickly, we learn that it took Joseph Smith seven years to complete the work. We also learn that there were multiple scribes and the volume showcases this by showing us multiple takes on the same work. It’s a fascinating thing to learn that even for learned men in the nineteenth century that were tasked to transcribe for Joseph Smith, the comprehension and command of the English language was not something we’d expect. As readers and academics go through each facsimile, they see the effort that went in to transcribe what Joseph revealed. You can appreciate the effort and concentrations that it took to make this all come together. Another part of the work that comes into play is the aforementioned language and grammar of the Egyptian language. Even in reading definitions and interpreting characters, readers get a sense of the mindset of Joseph Smith and his views of the eternities. Earlier, I mentioned that Latter-day Saints would recognize a lot of the terminology and definitions as something they may hear in our Temples. Even reading these terms, I felt like I was reading scripture. I believe members of the Church of Jesus Christ of Latter-day Saints would appreciate this section the most. A lot of the language does reflect a mindset focused on Christ, the three degrees of glory and many references to the Garden of Eden, the priesthood and more. Reading this and then reading the published Book of Abraham as we have it in the Pearl of Great Price makes the reading of that volume even more enjoyable. Frankly, you do get more out of it, which I enjoyed. For academics and those not of the LDS Church, they’ll be able to analyze through these terms and definitions how Joseph Smith saw the creation of the world, how God functions and the purpose of our existence. Another section of the volume that is one of its best features is a character by character breakdown of what Joseph Smith and his scribes noticed and transcribed. It’s one of the most complete breakdowns I have ever seen and appreciate its addition to the volume. It helps give a sense of completion to the work and helps demonstrate the effort made to bring this text forth to the Saints. Earlier, I had mentioned that this volume won’t settle any debates and will probably stimulate more of them. I’ll freely admit that I’m no Egyptologist. I’m not trained in ancient languages and a lot of what I do know I have taken from sources close to the Church of Jesus Christ of Latter-day Saints. The last thorough volume to cover any of this was Hugh Nibley’s volume Joseph Smith and the Egyptian Papyri. That book took readers on a deep dive to ancient Egypt, its culture, its traditions, the Books of the Dead and a whole lot more. This volume is nowhere near as thorough, but it was never meant to be. However, to any trained Egyptologist, there may be elements in this book that are 100% spot on, and there are elements that may not be. It is not the fault of the editors or those who put it together; their job is to prepare the work. But, if it’s not all accurate, what does that mean of the spiritual connotations of the text? Is it legit, or is it a fraud? Honestly, I do not know, and I cannot answer that question for everybody else. For me, it is a matter of faith. I believe in the prophetic calling of Joseph Smith. I do believe he received revelation and inspiration from God that endowed him to be able to translate and render these texts for us to read and understand. Falsehoods and forgeries are easy to spot as they have to be simple. This is HARDLY simple. The work put into these translated texts stays consistent with revealed doctrine given at the time. The language and descriptions given from the mouth of a man with a limited education is too complex to be conceived as a lie. I therefore take the Book of Abraham as legitimate doctrine and have enjoyed this volume very much. However, I reiterate that it is not for everyone. It will challenge you and it will invite you to broaden your understanding of Joseph Smith and ‘the Mormon faith’. If you’re okay with the invitation, then by all means pick up the volume and go through it as there is a lot here. But if you have concerns, doubts or more, I would advise waiting until such a time where you are comfortable with such things. As a professional work, it is one of the best and I extend my gratitude and appreciation for the entire team of The Joseph Smith Papers Project for yet another perfectly executed volume and eagerly look forward to the next one. Finally! It is wonderful to have all of these documents photographed and made available in one collection, and in such high quality. The supplemental materials, such as the Source Notes and Historical Introductions are written very well, and are a great help in providing context and explanation for the materials presented. The footnotes and Works Cited have been a real blessing for me; pointing me to other materials of which I was previously unaware to help my understanding. A debt of gratitude is certainly owed to all those who have contributed to make this volume possible, as well as the other volumes of the Joseph Smith Papers. I recently received an advance review copy of Volume 4 Book of Abraham and Related Manuscripts from the Revelations and Translations portion of the Joseph Smith Papers project. It is a Facsimile Edition; meaning, it contains hundreds of excellent photographs of original documents found with mummies by archaeologists in Egypt in the early 1800s, along with other items. Some of these mummies and papyri were brought to the United States and sent on a sales tour around the country. Hearing that a man named Joseph smith in Kirtland, Ohio might have the ability to translate ancient languages, they stopped off in that community near Cleveland. After surveying the find and with financial aid from friends, Joseph Smith purchased four of the mummies along with the papyri found with them. From these papyri, Joseph Smith translated what has been given the name of the Book of Abraham, as it claims to be the writing of the ancient Hebrew prophet Abraham. Volume 4 gives the best detailed description I have ever read, of how this story truly came about. But more than that, it now presents for the first time pictures of all the actual surviving papyri in greater detail than when looking at the papyri themselves. That makes this volume a treasure trove for those truly interested in the Book of Abraham, but unable to come to Salt Lake City to view the original material. Next to the Book of Mormon itself, perhaps more controversy has surrounded the Book of Abraham than any other topic about the Church of Jesus Christ of Latter-day Saints, the church founded by Joseph Smith in 1830. The main controversy deals with the fact that the surviving papyri have been shown to come from two genres of Egyptian funerary texts--Books of Breathing and Books of the Dead circa 300--100 BC. This volume ignores that controversy by giving a straight forward presentation the facts as the Volume editors: Robin Scott Jensen and Brian M. Hauglid, with the help of Lead editor Riley M. Lorimer and staff member Stephanie Steed, have uncovered those facts. They contend and present convincing evidence that perhaps less than 5% of the original papyri are still in existence: all of them the property of the Church and all of which are made available to anyone with access to Volume 4. On page xiv we read :the Egyptian documents published herein consist of the following: (1) several manuscripts on which associates of Joseph Smith copied Egyptian characters, (2) three manuscripts containing attempts to decipher the Egyptian writing system, called the Egyptian Alphabet Documents, (3) a document associated with the Egyptian Alphabet documents, called the Egyptian Counting document, that contains a system of counting and (4) a manufactured book of ruled paper into which early Latter-day Saints scribes William W. Phelps and Warren Parish inscribed a "Grammar and A(l)phabet of the Egyptian language." The final group of documents, as elaborated on page xv, contain Book of Abraham material including the following: (1) the three manuscripts of the Book of Abraham created in Kirtland, Ohio, in 1835; (2) the two manuscripts of the Book of Abraham created in Nauvoo, Illinois, in 1842; (3) the two installments of the Book of Abraham text as published in the church newspaper "Times and Seasons" in 1842; (4) three facsimiles of vignettes, or illustrations, found on the papyri, which were also published in the "Times and Seasons" in 1842; (5) explanations of the various figures in the facsimiles, which were published alongside them. Although of interest to many people, as an amateur historian, I believe this large Volume 4, with its detailed explanations and revealing photos, would be of greatest interest to professionals in the field. The Joseph Smith Papers: Book of Abraham and Related Manuscripts is the latest published volume of the Joseph Smith papers Project and the newest volume of the Revelations and Translations series. As with the earlier volumes of this series, the reader is presented with full-page photographic images of the documents in question. The reader has the opportunity of seeing reproductions of all the surviving papyrus fragments, as well as of the manuscript pages of Joseph Smith’s studies of the Egyptian language and his “translation” of the Book of Abraham. Each manuscript image is accompanied with a meticulous transcription on the facing page. As in previous volumes published in the Joseph Smith Papers Project, the historical introductions, not only to the volume itself, but to each set of documents, is invaluable. I particularly found the Volume Introduction, outlining the background to the mummies and papyri acquired by Joseph Smith in 1835, to be useful and informative. Joseph Smith’s interest in Egyptology was a natural outgrowth of his experience in the restoration of ancient records, beginning with the Book of Mormon. His studies in the Egyptian language were brief, taking place only during the last half of 1835. What is most fascinating to me from this period of language exploration was the concept of five tiers of meaning assigned to the individual Egyptian characters. The translation of a particular character becomes more specific and detailed as it moves through the five levels. This is an intriguing concept from a linguistic point of view. The publication of this volume allows the reader to come closer to Joseph Smith’s thinking as he encountered the ancient Egyptian documents and artifacts that came into his possession. It allows us to see this extraordinary man more fully. I was extremely excited when I received my copy of Volume 4: Book of Abraham and Related Manuscripts from the Revelations and Translations collection. This Facsimile Edition is truly impressive in its “textual photographs” even though the resolution for the images were reduced for publication there was no cutting corners in this monumental work. Flipping through the pages and seeing the Egyptian papyri the reader becomes the translator. The Introduction of the book was written in a clear and concise manner. The reader is hooked from the beginning and will seek to understand the history of The Book of Abraham and its translation process. Even though its’ history had been shrouded in the past “the entire collection of documents is reproduced here for the first time in photographic and, when possible, typographic facsimiles” (pg. xiv). The Egyptian papyri, the “Egyptian-language documents” and the manuscripts are exposed to the reader to explore and reflect on in its entirety. Nothing is left amiss. We are told that “there is no evidence that Joseph Smith or his associates had read contemporary works of French or English Egyptological scholarship, but they nevertheless seemed to approach the papyri with many assumptions that were espoused by scholars who wrote before Champollion” (pg. xvii). The Egyptian-language documents produced by Joseph Smith and his associates published within this volume reveals how they went through this translating process. The Egyptian Alphabet documents, the Egyptian Counting document and the manufactured book of ruled paper called the Grammar and Alphabet produced by William W. Phelps and Warren Parish reveals the depth of their study in seeking out to fully grasp this inspired ancient text. This Volume did not disappoint in revealing the Book of Abraham! It highlights the handwritten works of all those involved in the translating process. Through their exhaustive use of references and footnotes the editors of this volume has brought an enigmatic book to light and many documents for the reader to explore on their own. The editors get props for their work! The Joseph Smith Papers, Revelations and Translations, Vol. 4: Book of Abraham and Related Manuscripts"
Volume 4, Revelations and Translations, of The Joseph Smith Papers covers the process of how Egyptian Papyri were found, how Joseph Smith studied Egyptian and then through revelation dictated the Book of Abraham, in the Pearl of Great Price. Members of The Church of Jesus Christ of Latter-day Saints accept that Book as scripture. Joseph Smith and others purchased mummies and papyri that were deposited with the mummies, in March 1835. He and three others began studying Egyptian in July. His and other diaries of the time, indicate he did not work on studying or translation of the papyri from the latter part of 1835 until early 1842. He did however show the papyri to many others and preached doctrine from it during that interval. This publication consists of all known fragments of the acquired Egyptian Papyri. Egyptologist’s report the papyri is from Thebes, Egypt and originated sometime between the third century and first century BC. Volume 4 contains copies of notebooks with Egyptian Characters, Egyptian Alphabet and Grammar of the Egyptian Language that Joseph Smith and his associates produced to catalog, understand and decipher the Egyptian characters that are found on the papyri. It also contains the Book of Abraham manuscripts written by Frederick Williams, Warren Parrish and William Phelps in November 1835. These manuscripts were probably dictated to them and then revised by Joseph Smith. They cover Chapters 1 and 2, to verse 18 of the present Book of Abraham. That portion was published in the 1 March 1842 issue of the Times and Seasons with Facsimile 1. No known source is available that records the final verses of Chapter 2, and Chapters 3-5 until it was published in the same paper with Facsimile 2 in the 16 March 1842 issue. Facsimile 3 appeared in the 16 May 1842 issue. Each of the Facsimiles had an accompanying explanation printed with it. This Volume is a must read for anyone interested in the coming forth of the Book of Abraham in the Pearl of Great Price. It is very thorough in referencing and has high quality reproductions of the original documents. This may be the thinnest volume of the Joseph Smith Papers thus far, but it is packed with fascinating documents and interesting historical background and information. This volume contains photos and transcriptions of all documents related directly to the papyrus scrolls that Joseph Smith purchased with several mummies from Michael Chandler in Kirtland, Ohio in 1835. The types of documents in this book span the early documents containing characters that Joseph Smith and others copied from the papyri, to the "Egyptian Alphabet" and "Egyptian Alphabet and Grammar" created in an apparent effort to decipher the characters on the papyri in a systematic way, and the manuscripts of the Book of Abraham itself, at least portions of which appear to be the original copies scribes wrote as Joseph dictated his "translation." The book even includes pictures of the surviving portions of the papyri containing the images from which the facsimiles appearing in the Book of Abraham were taken, as well as the printing plates used when publishing those facsimiles. The introductions for each of these types of documents are very informative, providing clear explanations of what historians know about what Joseph Smith and his associates were attempting to do when creating the documents and acknowledging the gaps in that knowledge. In fact, there is much that we simply do not know about these documents, particularly the "Alphabet" and the "Alphabet and Grammar." But this book provides a solid foundation on which historians and other scholars may begin to fill in those gaps with more than just speculation. Most helpful in that effort is a chart at the end of the book that collects all of the appearances of each unique character throughout the volume. Each character is assigned a number, and the chart provides the definition or explanation, if any, that the Joseph or his associated provided for the character. The transcription of each document identifies each of the characters with the number it is assigned in the chart, making it easy to track a particular character's appearance through the documents, from the alphabet to the early transcripts of the Book of Abraham. I look forward to reading what scholars are able to find with this book as a resource. The pictures in the book are very high quality, and the annotations are top-notch, as with all of the prior volumes of the Joseph Smith Papers. My only complaint is that the editors apparently were not able to find a way to keep the footnotes on the same page as the text the footnotes are annotating. I had to use two bookmarks to keep track of where I was in the text of the document and to review footnotes describing variant readings or alternate wording in similar texts. In a volume of this size, flipping back and forth between the pages could get a little cumbersome. Other than this minor complaint, I found the book to be yet another outstanding entry in this ongoing series. The Book of Abraham and the history of the documents, the Egyptian papyri, is one of the most critical and important books translated by Joseph Smith. I have personally viewed some of the documents at the Church History Museum and found this publication to accurately produce for the reader these sames documents. It is fascinating to see the actual documents and then to view them in this published book. The layout and content is so professional and visually appealing, this is a book you want to leave out on a table for others to peruse. There are actually three sets of documents contained including the extant fragments of the papyri purchased by Joseph Smith; the "egyptian -language documents' and the manuscripts and first publication of the Book of Abraham. The history of the Book of Abraham is described and provides the reader an accurate and historical context for understanding the time of Joseph Smith and events surrounding the translation. If nothing else, this is a publication well worth having to leave out and allow others to peruse. Highly recommended. While this volume contains very little that has already been made accessible elsewhere, this collation makes it much easier to see the relationships between all the Egyptological projects of 1835 and 1842. The editors follow the same rigor and standards of the previous JSPP volumes. I was particularly impressed by their use of sources in contextualizing and explaining the mummies and papyri in their introduction. Not only do we have the research of Michael Rhodes and John Gee (well known Mormon apologists) represented, but also that of Robert Ritner and Christopher Smith (more critical voices). There was little written in the section introductions, etc. to this volume that could be seen as more apologetic than scholarly. For instance, the editors somewhat put to rest notions that much beyond Abraham 2:18 was translated prior to Nauvoo. They even state that "Between 1835, when JS suspended his work on the Book of Abraham, and 1842, when he resumed the translation, he expanded upon or taught several new doctrines -- regarding the nature of God, the Godhead, and the premortal existence of souls -- that are also found in the 1842 Book of Abraham text" (page 244). They also state, "it is likely that JS knew and approved of the work Phelps and Parrish were doing" [on the Grammar and Alphabet volume] (page 112), which hopefully lays to rest other sloppy apologetics. They also acknowledge that "Most scholars who have studied the Book of Breathing for Horos, one of the papyrus rolls purchased in 1835, estimate that it originally measured between 150 and 156 centimeters", (page xiv) though they still give breathing room for John Gee's somewhat ridiculous contention that it could have been 1300 centimeters long. Fortunately, Gee's contention is relegated to footnotes. The editors' deepest foray into apologetic rather than scholarly content happens on pages 3 and 4, where in one instance they say "Some scholars" view the Book of Breathing for Horos as having been 150-156cm, rather than repeating "most" as they, quite accurately, stated earlier. Admittedly this is minor. More seriously, on page 4, the editors claim without qualification that "This vignette (Facsimile 1), which was the opening illustration of the Book of Breathing, is unique -- it does not appear on any other known copy of the Book of Breathing". This is all the more unfortunate because Lanny Bell's 2005 essay (found in the "Egypt and Beyond" tribute to Leonard Lesko) is referenced in their bibliography, in which we learn several clarifying points, such as that there are only 33 known Books of Breathing still extant. Also, "All versions [of the Book of Breathings] seem to have originated in the Theban area [where JS's collection of papyri originated]". Also, "The distinctive text [of the book]... is fixed, with very little deviation. In marked contrast, the few vignettes accompanying this text are not standardized, but display great variation", including at least 12 of which don't even have accompanying vignettes. Bell also quotes Baer in a footnote, saying, "I doubt that one could find many instances of exactly identical scenes in Egyptian art". So Facsimile 1's "unique" presence in the church-owned Book of Breathing is a bit of a red herring to be sure, which the editors could have done better to avoid sensationalizing. I was happy with how forthcoming the editors were with the conclusions their research in preparing this volume led to, and how well they contextualized this work of the early Latter-day Saints. They explain how Joseph Smith and his associates "assumed that the Egyptian language contained a series of complex systems and symbols, each of which held multiple meanings; they believed the meaning of each character was shaped by its position in a language hierarchy made of five tiers..., and they thought marks such as underlining could be added to a character to change its meaning" (page xvii), hopefully mostly putting to rest unsupportable contentions otherwise. They sympathetically contextualized Joseph Smith and his associates' efforts in the following, "like many similar efforts of the time to unravel the mysteries of the Egyptian language, these attempts are considered by modern Egyptologist -- both Latter-day Saints and others -- to be of no actual value in understanding Egyptian" (page xxv). They even pointed the way for new research to be done in ascertaining from where Joseph's 5 degree system could have derived. One thing I particularly appreciated was their laying out their source for the notion that Joseph Smith used his seer stone to translate at least the Nauvoo portion of the Book of Abraham. They relied on faulty evidence in arguing that Joseph probably didn't use his seer stone to translate everything -- I think at best the editors should have left it at, we don't know for sure how the Kirtland portion was translated, rather than using the absence of evidence from quite belated recollections of the Kirtland translation period as evidence of absence. It was a pleasure unraveling the "ka ke ki ko ku" ("cha che chi cho chu") pronunciation system that worked alongside those particular 5 degrees (as opposed to the related multiply-by-5 system), and finding that Joseph Smith and his associates perhaps assumed that Onitah and Katumin lived around the 3000th year of the world, giving the early church young earth cosmology an extra 1000 years between Adam and Abraham versus the rest of the conservative Christian world. I also enjoyed learning the "Egyptian" and non-Egyptian (Chaldean? Adamic? They didn't specify!) names of the 15 grand governing stars in Joseph Smith's cosmology. I was also pleased that the editors openly pointed out that "The Egyptian Counting document is built on a base-ten number system. It is unknown where the characters originated, but they appear to be adapted versions of Arabic numerals rather than Egyptian characters" (page 95). All these documents could be perused elsewhere (including, right now, on the Papers website), but it was nice having them all together. I especially liked having a photocopy of the Horos Book of Breathings on which to annotate its connections to the Book of Abraham manuscripts. Some wishlist items that I think would have made the book even more superb. When they lay out the surviving Book of Abraham papyri, it would have been nice to have a ruler printed alongside them so the exact dimensions could be known for certain (ignoring camera and lens effects). In the final appendix which shows side by side comparisons of all the symbols and where applicable, papyri fragments, it would have been nice for the editors to state which of the 5 categories they came up with, hieroglyph, hieratic, "pure language", unknown, or composite, each figure belongs to, as well as degree of confidence or perhaps sources that assert the category. Disclosure: I was offered a review copy of this, and given that I own many books related to the Book of Abraham and its papyri, I would wholeheartedly recommending owning and reading Rhodes and Ritner, and then turning to this if you have continued interest AND you want to learn of an interesting connection between John Wilkes Booth and Joseph Smith! 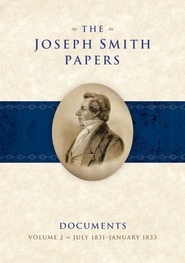 The Joseph Smith Papers Revelations and Translations Series, Volume 4: Book of Abraham and Related Manuscripts is an attractive oversize volume in this excellent series. It contains all the Book of Abraham transcripts and reproduces all the papyri fragments and associated “Egyptian Alphabet”, “Grammar and Alphabet of the Egyptian Language”, and “Notebooks of Copied Egyptian Characters documents. The papyri are beautifully reproduced in color plates with size indications as are the other documents presented in the volume. The documents feature text transcriptions alongside the respective color plates and contain helpful annotation notes at the end of each section with further detailed information and source material identification. The color photographs of Ruben Hedlock’s plates used for publication of the facsimiles in the Time and Seasons newspaper were a treat for this reader to see. Of particular interest is the Volume Introduction, which contains a section on the “Rediscovery of Ancient Egypt” that places the Prophet's acquisition of the papyri from Chandler in historical context. It informs the reader about the both the early Saint's enthusiasm for relics from Egypt, as well as the suppositions of pre-Champollion scholarship on Egyptian language. For researchers this volume is an indispensable source of all the documents associated with The Book of Abraham collected in one place. The editors have also provided a section that reproduces every character found in the documents and references everywhere that character can be found throughout the papers. For those with general interest in the Prophet Joseph Smith, The Book of Abraham, and the associated work on the Egyptian papers, this volume is a beautiful addition to your library that will serve as an essential primary reference source when reading any work on the meaning and context of The Book of Abraham. While this volume contains very little that has already been made accessible elsewhere, this collation makes it so much easier to see the relationships between all the Egyptological projects of 1835 and 1842. The editors follow the same rigor and standards of the previous JSPP volumes. I was particularly impressed by their use of sources in contextualizing and explaining the mummies and papyri in their introduction. Not only do we have the research of Michael Rhodes and John Gee (well known Mormon apologists) represented, but also those of Robert Ritner and Christopher Smith (more critical voices). Readers of the previous editions of The Joseph Smith Papers will not be surprised by the quality of construction, content and depth of original sources, and the transparency revealed in the newest The Joseph Smith Papers, Volume 4, Revelations and Translations - Book of Abraham and Related Manuscripts. Simply stated, the work is suburb. Like previous volumes of this comprehensive work, the external physical construction and form of the volume portrays a classic appearance giving a dated air of the early 1800’s. The cover is a parchment paper background with dark brown writing. Accent markings reflect an earlier date, and the bronze-tone sketch portrait of Joseph Smith Jr., all contributes to the out-of-date look of an earlier era, adding an appearance of authenticity. The interior quality of paper is extremely high, and the photo images are the latest state-of-the-art reconstruction of aged, faded, worn and difficult to decipher original source documents. The photographic facsimiles are vivid and clear to enhance the accuracy in color, tone, contrast, and exposure of the original documents in appearance. For an example see page xxxviii. Care was taken to insure accuracy of transcripts. Every document was “…verified three times, each by a different set of eyes.” The verifications were done using high-resolution scanned images, magnification, ultraviolet light, and multispectral imaging. All methods employed met or exceeded requirements of the Modern Language Association’s Committee on Scholarly Editions and the National Archives and Records Administration’s National Historical Publications and Records Commission. There was no effort spared in seeking out original sources for this edition. Research was exhaustive in the quest of finding all references pertaining to The Book of Abraham and related manuscripts. Documents such as “A Sample of pure Language,” written by Joseph Smith, of Adam and Eve’s pure Language, listing words and meanings in what Smith believed was the pure Adamic language, is an example of obscure and not well-known sources cited in this edition. Sources ranged from detailed diagrams, pp 44 & 51; abundant original handwritten Book of Abraham manuscript, pp 194-289; exhaustive handwritten Egyptian Alphabet Documents, pp 56-93; comprehensive published articles in the Times and Seasons, pp 306-331; marginalia notes, pp 28-37; scant fragments, pp 13-21; to mere scraps. One such scrap contained only one word, “Kolob,” pp 102-103. The gamut above illustrates a complete spectrum from extreme in-depth detail to the most meager. Historical scholars, students, and lovers of history will appreciate the inclusiveness of this work. For the first time the entire collection of documents is reproduced in photographic and typographic facsimiles, either written by or at Joseph Smith’s direction, or that were in his possession that were available. As an owner and person who reads all the so far published volumes of The Joseph Smith Papers, I have been appreciative of the transparency of the historical editors. Historians are obliged to present complete and unedited sources of their work. It is unethical to sort through sources and take out of context select portions of sources that support an interpretation that would not otherwise be supported or desired. The Joseph Smith Papers have presented the complete collection of all available sources in the editions thus far written. This volume is no exception. As an example of the transparency is found where the editors disclose that the owner of the Egyptian Papyri, Michael Chandler, allowed Joseph Smith to examine pieces of the papyri characters. Joseph in turn provided a sample decipherment of the characters to which Chandler in return provided a certificate stating that Joseph’s translation corresponded “in the most minute matters…in many eminent cities…[from] the most learned.” This was not an uncommon practice of the scholars, experts, and doctors in the early 19th century. The editors of this volume, however, rather than using the certificate to bolster Smith’s prowess as a translator, expressed an opinion that Chandler nor any other American at that time could make such a declaration. They concluded, “Chandler may had issued the certificate to ingratiate himself to the Latter-day Saints and increase the likelihood of a sale.” A textbook example of transparent disclosure typical of The Joseph Smith Papers. In summary, the editors have every effort has been made to meet or exceed the highest ethical standards, requirements, and best practices of all historical leagues, conventions, societies, circles, and associations. Historians and students alike will appreciate the style, quality, content, and presentation of the newest publication of The Joseph Smith Papers – Revelations and Translations – Volume 4 -Book of Abraham and related Manuscripts. This most recent volume in the Joseph Smith Papers series, Revelations and Translations, Volume 4: Book of Abraham and Related Manuscripts, is one of the most insightful and compelling books I have ever read. In July of 1835 in Kirtland, Ohio, Joseph Smith and a few of his associates purchased a collection of Egyptian artifacts for $2,400. These consisted of four mummies, two rolls of papyrus, and a few other pieces of papyrus. Revelations and Translations, Volume 4 presents photographic facsimiles of three sets of documents: (i) the few extant Egyptian papyri fragments; (ii) documents associated with attempts by Joseph Smith and others to decipher the characters found on the papyri, collectively known as the “Egyptian language documents”; and (iii) the Book of Abraham as translated by Joseph Smith and eventually published in the church-owned Times and Seasons newspaper. These reproductions, together with the voluminous notes and explanatory Historical Introductions, make this volume of inestimable worth to researchers and casual readers alike. According to some Egyptologists who have studied the papyri fragments, they were taken from what would have been funerary texts buried with deceased persons sometime between the third and first centuries B.C. Only a few fragments of the papyri are known to be in existence today; the mummies were sold by Joseph Smith’s wife Emma after his death. According to an account by his associate William W. Phelps, Joseph Smith determined that the scrolls “contained the sacred record kept of Joseph in Pharaoh’s Court in Egypt, and the teachings of Abraham.” Upon acquiring the scrolls, Joseph Smith and a few others soon undertook two related projects, one being a translation the papyri by divine means, the other a cataloguing and transliteration of characters from the papyri. Just what is meant by the word “translation” as it pertains to the Book of Abraham has long been a matter of controversy. There is no record that Joseph Smith or his associates were familiar with the work of scholars attempting to decipher Egyptian hieroglyphs following the discovery of the Rosetta Stone in 1798. Instead, the few accounts that exist as to how the translation was accomplished reflect the understanding of those familiar with the process that it was revelatory in nature. Members of The Church of Jesus Christ of Latter-day Saints should have no difficulty accepting the Book of Abraham as a divine revelation given to the Prophet Joseph Smith. Smith never claimed to have a knowledge of Egyptian, reformed or otherwise, when he translated the Book of Mormon from the plates of gold, nor did he claim such knowledge in publishing the Book of Abraham. Rather than hoping to establish the validity of the Book of Abraham as a scholarly rendering of the writings of Abraham from one language into another, readers will have to rely on a spiritual confirmation, just as is required of them when reading the Book of Mormon. The “Egyptian language documents,” however, present quite a different challenge. From July to November of 1835, several associates aided at least in part by Joseph Smith produced four documents setting forth their understanding of the writings found on the papyri. One document was what they said was an Egyptian counting system. The other manuscripts consist of transliterations and definitions of characters found on the rolls. In the “Grammar and Alphabet” volume, for example, are transcriptions of the characters themselves followed by definitions and even grammatical principles and rules. Zool – from any or some fixed period of time back to the beginning of creation showing the chronology of the patriarchs the right of priesthood, and the lineage through whom it shall be continued by promise, beginning at Abraham signifying the promises made to Abraham saying through thy priests, or the seed of thy loins, the gospel shall be preached, unto all the seed meaning from Noah, and unto all the kindreds of the earth. So what, then, is the reader to make of the “Egyptian language documents”? Revelations and Translations, Volume 4 notes that while “most of the Book of Abraham is not textually dependent on any of the extant Egyptian-language documents,” there is “considerable overlap of themes” between them. Both have information on Abraham in Egypt, the creation, Adam and Eve, and astronomy. But certainly these documents never became a matter of church doctrine. They were never published by Joseph Smith, nor were they distributed by nor canonized by The Church of Jesus Christ of Latter-day Saints. This much is certain, at least in this reviewer’s estimation: It is the text of the Book of Abraham itself and the doctrines it reveals about the eternal nature of spirits, pre-mortal existence, the choosing of a Redeemer, and “a knowledge of the beginning of the creation, and also of the planets, and of the stars,” that make it a document worthy of careful examination and prayerful consideration. We are indebted to the authors of Volume 4 for including a commentary from the April 3, 1842, edition of the New York Herald, which had published an excerpt from the Book of Abraham: “While modern philosophy, which believes in nothing but what you can touch, is over-spreading the Atlantic States, Joe Smith is creating a spiritual system, combined also with morals and industry, that may change the destiny of the race.” And well it might. The Joseph Smith Papers Project intends to "present verbatim transcripts of Joseph Smith's papers in their entirety." It is a commendable project that brings together not only Joseph Smith's history, writings, sermons, etc, but also, as a natural result, creates a history of the early church. It also shows a wonderful transparency on the Church's part - Joseph Smith is who he says he is, so there is no need to hide anything of his. This latest published volume in Revelations and Translations is titled "Volume 4: Book of Abraham and Related Manuscripts". This volume contains "three sets of documents: (1) the extant fragments of the papyri purchased by Joseph Smith and his associates; (2) the documents that collectively constitute the 'Egyptian-language documents'...; and (3) the manuscripts and first publication of the Book of Abraham." It is an excellent work with wonderful images, thorough footnotes, and transcriptions that are helpful and clarifying. But be aware this is not a book one sits down with on a Sunday afternoon to read in order to gain easy insight to the Book of Abraham. It contains sections such as "Notebooks of Copied Egyptian Characters" and "Grammar and Alphabet of the Egyptian Language". In other words, it is a scholarly work. But for those who are not going to be studying such, there are wonderful Historical Introductions that give detailed background to each and every section, as well as the overall volume. These are fascinating and insightful and well worth reading. My only complaint - and it is minor - is that some of the typesize (especially with the Source Notes) is quite small and takes some squinting to read. But kudos to all who were involved in putting together this volume.